Varicose veins are unsightly and painful, but when treatment is avoided, they can lead to more serious problems– here’s what you should know. 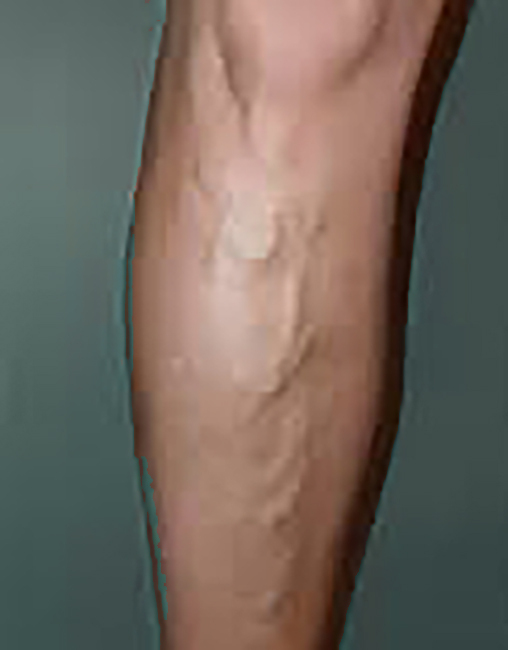 Varicose veins are extremely common. over fifty percent of Americans have varicose veins, usually in the larger leg veins. Although many people consider varicose veins to be a cosmetic issue, truth be told that untreated varicose veins can lead to more serious vascular conditions. Varicose veins are blood vessels whose one-way valves have malfunctioned, triggering blood to pool, thus causing the leg veins to swell. The enlarged leg veins now put pressure on the skin. As an end result, patients suffering from varicose veins frequently} bleed substantially from relatively minor injuries. Unfortunately, this heightened risk remains before the bulging subsides. Without treatment, varicose veins can also lead to venous ulcers, that which are opens sores or wounds caused by poor circulation. The most common indications of venous ulcers include throbbing pain, swelling, irritation, infection, a sense of heaviness in the afflicted arm, ankle or leg, and substantial discoloration of the surrounding skin. In the event that the sores are left untreated, venous ulcers can emit an distressing odor and generate infected purulence (pus), further adding to the patient’s discomfort. By far, the most significant hazard posed by untreated varicose veins is an increased likelihood of developing a thrombus (also referred to as a blood clot). Chronic inflammation can damage the valves that control blood flow through your veins, prohibiting them from pumping blood effectively. As a result, blood continues to accumulate in the veins, obstructing blood circulation and promoting clotting. Blood clots in the deep veins of the legs are called Deep Vein Thrombosis, which, aside from being painful, can be deadly. If the blood clot were to detach and enter your bloodstream, it can lead to life-threatening conditions such as pulmonary embolism. A pulmonary embolism results from a blood clot traveling to the lungs and blocking a pulmonary artery. If a clot is large enough to stop blood flow into the lungs, it can be deadly. While varicose veins can result in a number of more serious complications, we are happy to report that varicose vein treatments are painless and inexpensive. However, it’s important to seek treatment immediately in order to minimize the associated risks, and prevent varicose veins from developing into a more serious issue. Advancements in varicose vein treatments, such as VNUS closure (Venefit™), and EVLA (VenaCure®), make the procedure quick, painless, and with little or no down time. The San Diego Vascular Center, a leading San Diego based practice of Board Certified Vascular Surgeons, specializes in treating all vascular health issues for patients in San Diego County, as well as in nearby Orange County and Riverside County. For more information or to set an appointment, please contact us.